The average hiring success rate for companies is less than 50 percent, and the cost of hiring the wrong person for a critical role can run into the millions of dollars. With stakes so high, why do most managers still struggle with hiring the right people? 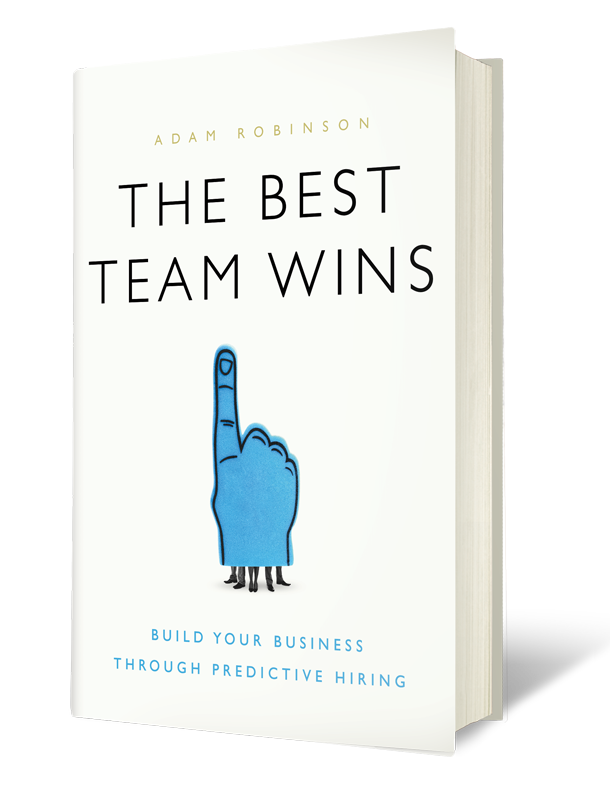 The answer to that fundamental question – and a step-by-step process to avoid the problem in the first place – are the focus of award-winning hiring expert and Hireology CEO Adam Robinson’s first book, The Best Team Wins. In The Best Team Wins, Adam shares real-world examples from his 20 years of hands-on experience to explain how any business can transform its hiring process from a liability into a source of sustainable competitive advantage. This proven system can help readers improve their success rate in hiring decisions, allowing them to reap the rewards in growth and profitability. This book is packed with ideas to help unlock the amazing human potential in your business in a way that you’ve known was possible, but perhaps thought was unattainable.